300 meters east to the cairn you find one of the biggest Bronze Age gravefields in Scandinavia. More than 130 graves in an area of 700 x 250 meters. Obvious features like a stone ship, two stone foundations and the so called Penninggraven. 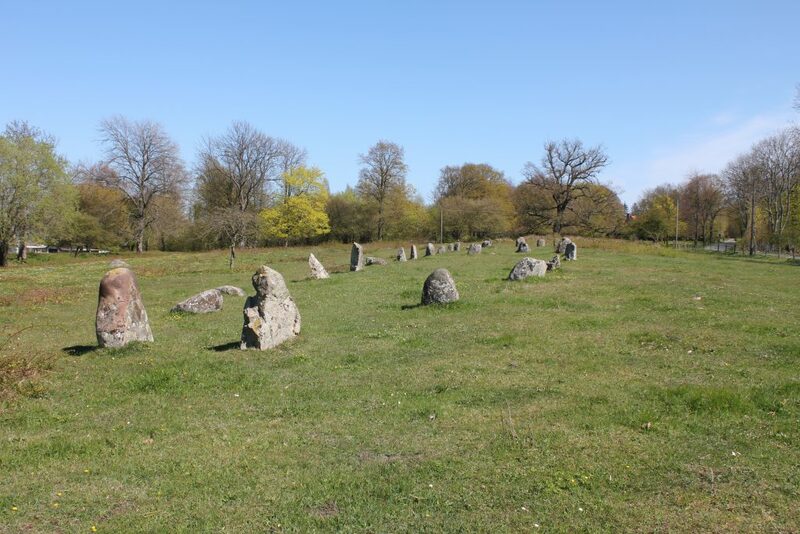 Parts of the grave field was excavated in the early 1900’s and the stone ship, on stone foundation and the Penninggraven was reconstructed at the same time. The stone ship is 60 meters long and 8,5 meters wide. It was probably erected in the late Bronze age or early Iron age. Stone ships are common features from the Iron age but some was also erected during the Bronze age. 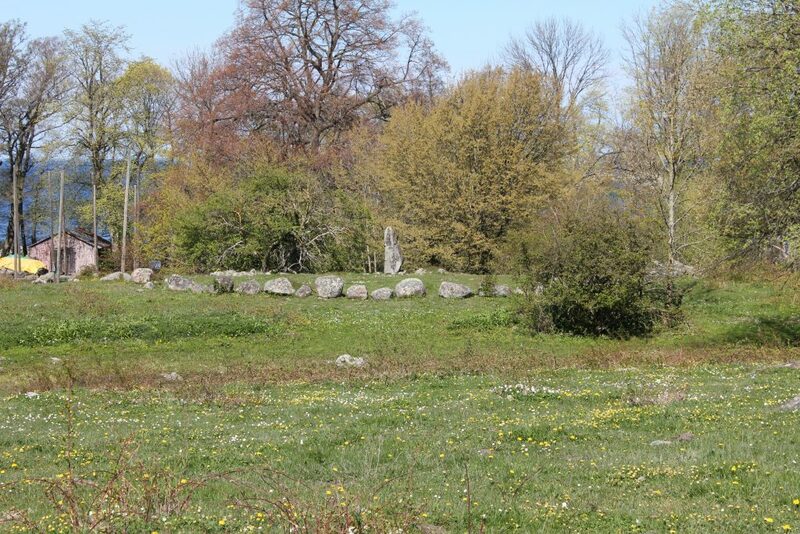 Penninggraven (the money grave)is dated to the Bronze age and is a stone circle, 23 meters in diameter, with an erected stone in the center. Within the stone circle there is several graves. It has probably been a mound once. The name comes from the locals that sacreficed money to get their dreams come tru! The stone foundations are both about 44 meters long and 8,5 meters wide. The one to the east is partly excavated but no finds are made within the foundation. Finds are made in graves that touches them on the outside. 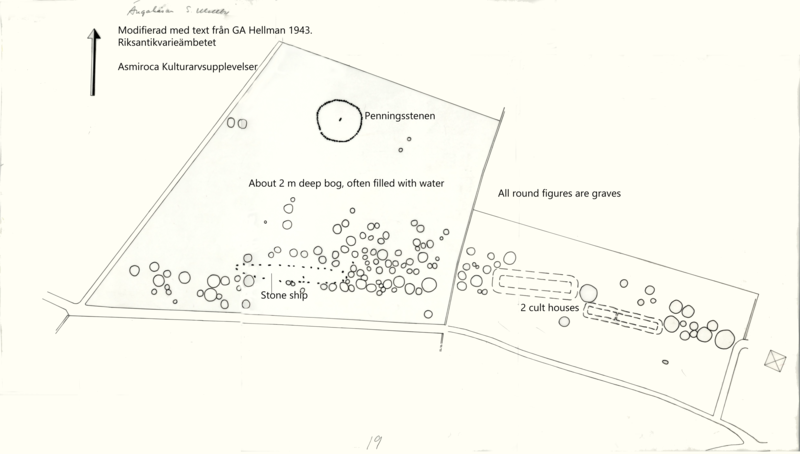 Stone foundations are relativly rare, only about 60 are found in Scandinavia. They are associated with grave rituals and ceremonies and are always found on a grave field. Both foundations are Bronze age and contemporary with Kiviksgraven.